Written by Carla Davidson for AMERICAN HERITAGE February, 1973. Volume XXIV, Number 2. That eighteenth-century British curmudgeon Dr. Samuel Johnson once remarked, "I would rather see a portrait of a dog that I know than all the allegorical paintings they can show me in the world." 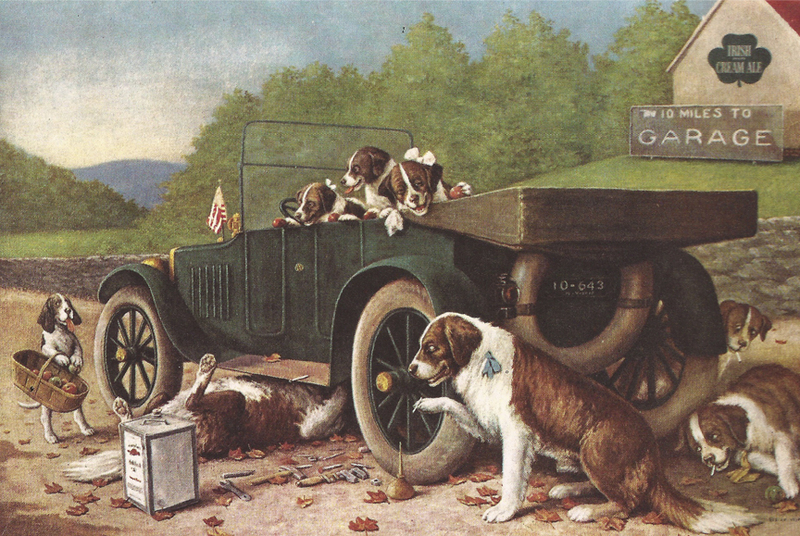 A hundred years later an American who shared this sentiment, Cassius Marcellus Coolidge (1844-1934), began painting the daily life of some very humanoid canines, an artistic subspecialty that was preceded by a string of careers. In the upstate New York town of Antwerp, Coolidge worked, almost simultaneously, as a druggist, painter of street signs and house numbers, and founder of the first newspaper and earliest bank—all within the years between 1868 and 1872, It was after a trip to Europe in 1873 that he turned up in Rochester, New York, as the portraitist of dogs whose life-style mirrored the successful middle-class humans of his time. Coolidge's first customers were cigar companies, who printed copies of his paintings for giveaways. 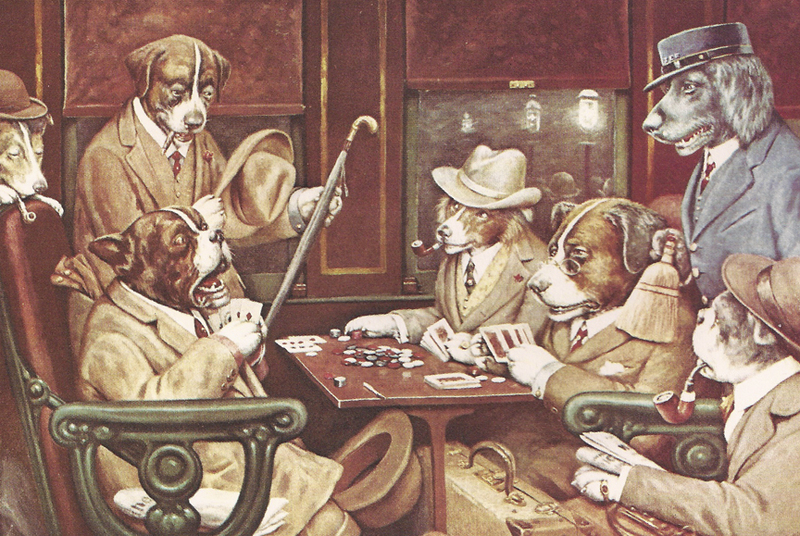 His fortunes rose when he signed a contract with the printers Brown & Bigelow, who turned out hundred of thousands of copies of his dog-genre subjects as advertising posters, calendars, and prints.